These 5 Christmas Markets in Singapore give you the Best Christmas Feel! 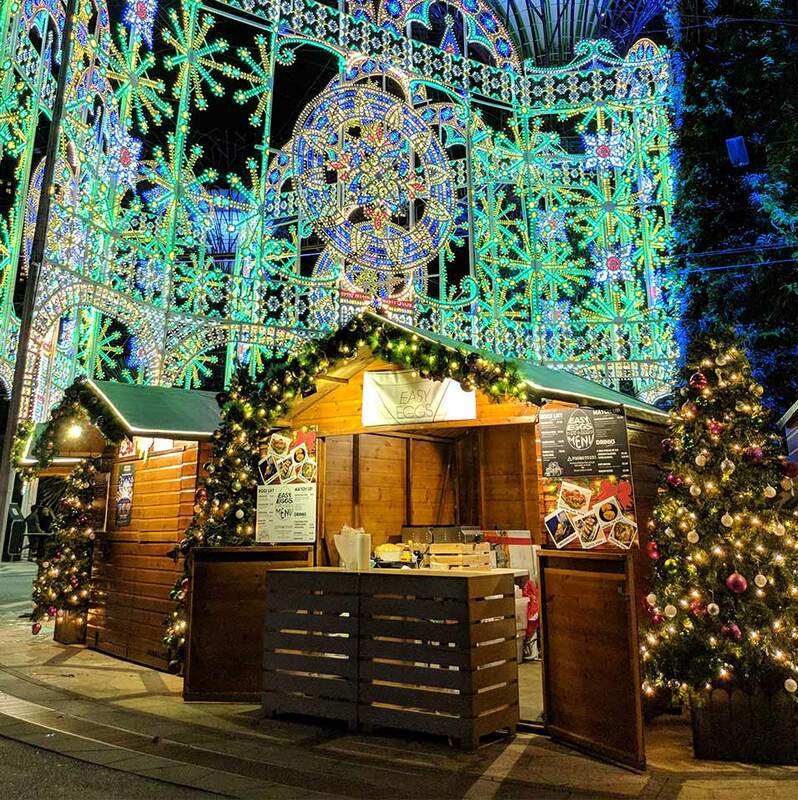 Home › Community › 5 Christmas Markets in Singapore that are giving us the Christmas Feel! Feeling like Christmas already? We recommend these FIVE Christmas Fairs in Singapore to get you in the spirit of the season right away! Who doesn’t love the festive Christmassy feel every December! The food, the lights, the decoration and the holiday gifts. Visits to the super Christmas markets in Singapore with jingles in the background has everyone feeling the festive mood. The only thing missing here in sunny Singapore is the cold weather. For everything else, head down this December to these 5 amazing, authentic, Christmas fairs and shop, eat and indulge in family fun to your hearts content. Imagine weaving your way around wooden huts inspired from Europe, a cinnamon aroma, and the warmth of hot chocolate in winters. If winter-festive is what you want, then head down to Gardens by the Bay and shop for one-of-a-kind Christmas gifts such as handmade crafts, boutique goods and vintage finds, or indulge in tasty treats and specialty food and beverages. If you’re on the lookout for the best quality products, meaningful and thoughtful designs by small, local businesses then this fair is for you. The goods on display are delicate and unique, many handmade, guaranteeing rejuvenating retail therapy. This fair is also in support of Caring for Cambodia – a charitable organisation committed to securing education and essentials for their health and welfare. A great opportunity to give back while you shop. Christmas markets in Singapore can be a very local experience with Public Garden. 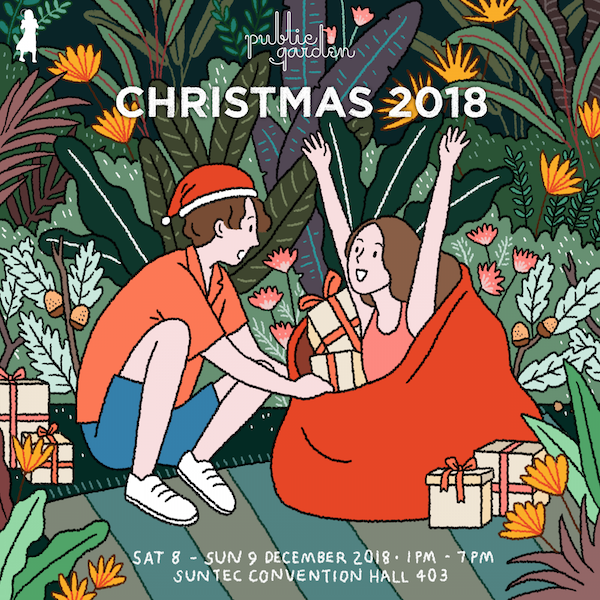 They host several markets throughout the year but this particular Christmas fair draws independent brands from around Asia selling anything from Terrariums, concrete planters and marble trays, fashion by local designers, unique stationery, handmade ceramics and jewelery. Here, unexpected treasures can be found as brands work hard for months and launch their new designs over 2 days. This fair holds true to the name and encourages shopping which is socially impactful and guilt-free as you support fair-trade organic produce and edible treats, statement fashion & jewelry, many by artisans and tribes, environmentally-friendly home decor & accessories along with activities for the family. Join this fair and enjoy ethical and environmentally responsible shopping. A must visit for those who love all things organic! Serving a plethora of artisanal food produce and eclectic items, this humble market is an undiscovered gem. 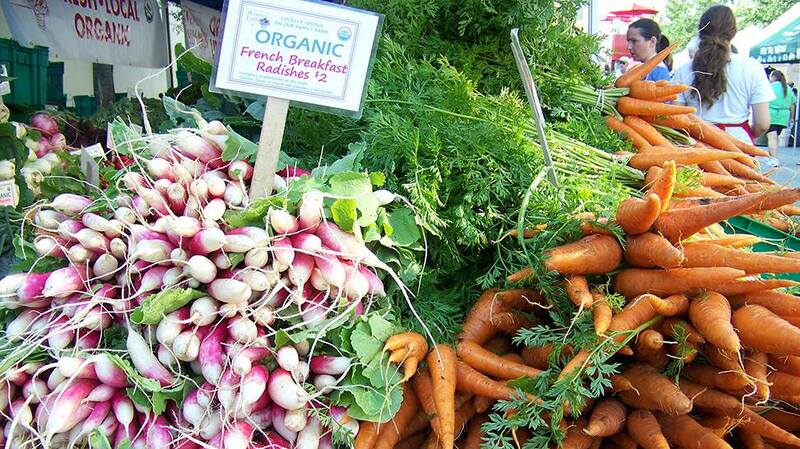 You will find vendors selling fresh foods including organic veggies, cheeses, wines and Xmas gifts. All this, under one roof at this farmers market. 15 Things to Do in Singapore this Winter Festive Season or visit our community pages to find out what else is happening in town. Italian Food or Greek? Find a restaurant here in Singapore!